The Kuny's Subcontractor™ Flex Grip® Gloves have a Ring-Cut™ feature which easily coverts them into fingerless gloves for improved dexterity. The gloves have Syntrex™ synthetic palms for increased abrasion and tear resistance. 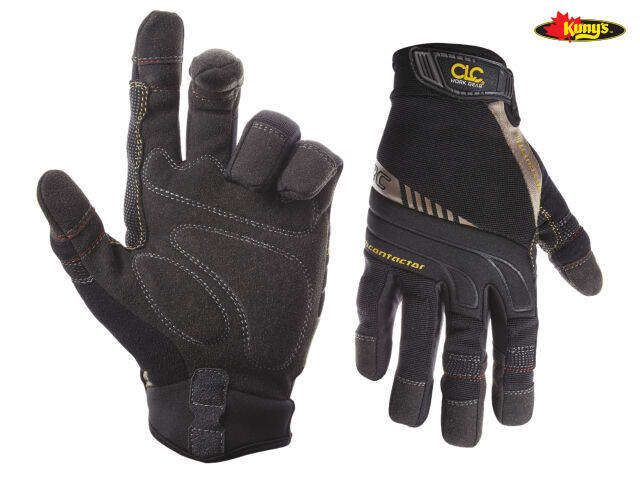 The padded palm, fingers and knuckles provide protection against bumps. The cuffs are also padded, with medical grade hook & loop fastening for secure fitting. The gloves have Stretch-Fit thumbs for better grip and flexibility. The thumbs have Terry-wipes that can be used to gently remove sweat or debris from the face. 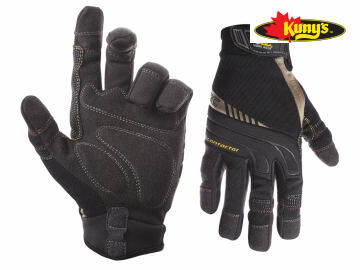 The KUN130XL Contractors Flex Grip® Gloves are size extra large.